Drop colorful orbs and solve physics puzzles to save the underwater city. Atlantis: Pearls of the Deep is a physics-based, Match 3 puzzler. Drop colorful orbs and let gravity do the rest, as the pearls crash and clink their way through ramps, platforms, and spinning gears. Match 3 or more pearls of the same color and watch them disappear while surrounding pearls fill the void. Earn Achievements and Stars depending on how fast and efficiently you clear the screen. Then use those Stars to purchase awesome and explosive power-ups. Play through over 100 regular levels to unlock the bonus levels for extra challenge. Then unlock Zen Mode to play again and again at your own pace. 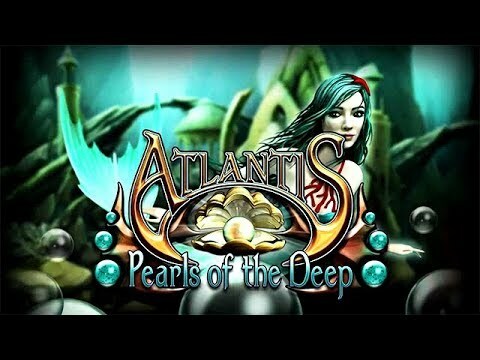 Find all the Power Crystals and save Atlantis from disaster in Atlantis: Pearls of the Deep.